I just looked at her and smiled. She then added, “You can! That is your Bread, Mary! I do it every day!” First of all, it was a humbling exchange. I thanked her and definitely blushed. But then I realized it was a lot more. It was a reason to get on this site and write more about why she and me and many others feel this way about fermented, sourdough bread. I mean, I’ve been eating it for years and therefore know this, but for those of us who are gluten free and haven’t touched it, that idea feels some sort of dream. The reality is that you can eat bread again. 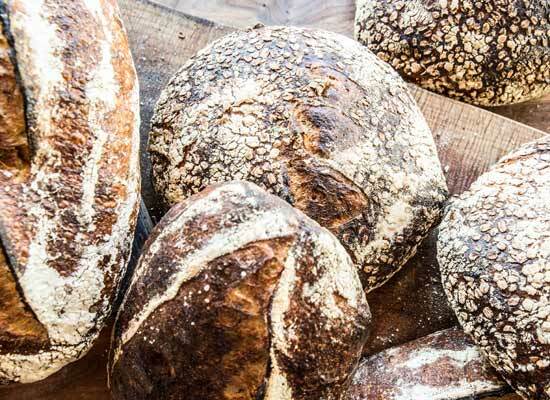 You can eat bread that was made with grain that was grown organically, harvested consciously, milled fresh with its entirety intact (whole grain!). You can eat bread that was then made with loving hands, that was naturally leavenened, and given the proper time it needed to ferment. You can eat it and feel satiated, and not feel bloated, nor foggy brained, nor have rashes, nor migraines, nor have crazy stomach pain (like I used to have). I have written a lot about gluten in the past. And sure, that’s a big part of it ~ reducing gluten protein during the bulk fermentation is a big part of what I stand for. It makes the bread more easily digested. But what about the bulk being the time when the phytic acid that’s naturally present in all grains transforms into lactic acid during the fermentation process, through the assistance of the lactobaccilus and other healthy bacteria in the starter? Thereby making the natural vitamins and minerals present in the whole grains shine forth, presenting an easier way for the body to digest and assimilate these vitamins and minerals, and in addition reducing the amount of gluten in the bread? This, in turn, Giving the body vital energy via complex carbohydrates that through fermentation yield a lower glycemic index, bioavailable soluble and insoluble fiber (a welcoming digestive aid), keeping the body full and energized for hours. MIND-BLOWN? I know, me too. Let me add that I am not a scientist. I cannot prove the theory on this with a three-tiered study. 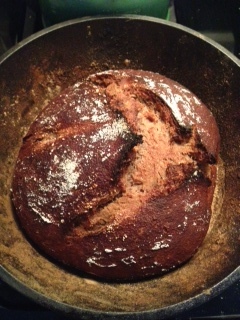 But I can admit that I have used myself as a case study for many years and the proof is in the sourdough. Many people who have taken my Bread class or another similar one and have “gluten intolerance” or a “wheat allergy” report that they are able to digest sourdough without an inflammatory response. I should add that those with celiac or a severe allergy is another story, and I understand that. That aside, show some respect for the grain and where it comes from — take a 3 hour class on how to learn an easy sourdough method that you can do in the comfort of your own home, and be present with each bite. It will fill you up, it will satiate you, and no it will not make you sick. You too can eat this bread everyday! Just like my wonderful patient said! Have you found your favorite fermented spot yet? Have you found your class? I’m proud to say that I’ve been included in a recent LA Times article written by a friend of mine, Amy Halloran. And then subsequently, a few days later The NY Times wrote a great article highlighting more LA Restaurants and Bakers who are putting the “G” back in “GLUTEN,” if you know what I mean! Please check out the articles here and here. And please join me for a Bread class. I don’t think anything brings me more joy than to teach people how to bake a loaf of bread. Ahh, it’s just the best. Being of service and getting to talk ad nauseum about my favorite thing in the world! We can always rely on Maya Angelou for jems like that one. So true, right? I asked a great baker turned teacher of mine if I might interview him for my blog. I am simply fascinated with the work he is doing. I took a few classes with him in the last few months and he taught me a ton about the bread-baking basics; which were desperately needed. He is an artist, a sculptor, a baker, and a pretty wonderful teacher. I learned more from him in a two hour class than I have reading three books on sourdough bread. I have high hopes to start conversations with people like him who are trying to change the world through baking bread, even though they themselves may not be aware of just how great their impact is and will be for people in the future. Humility goes a long way in my book. His name is Michael O’Malley and to those of you in the baking community out here in Southern California, you may have already heard of him. 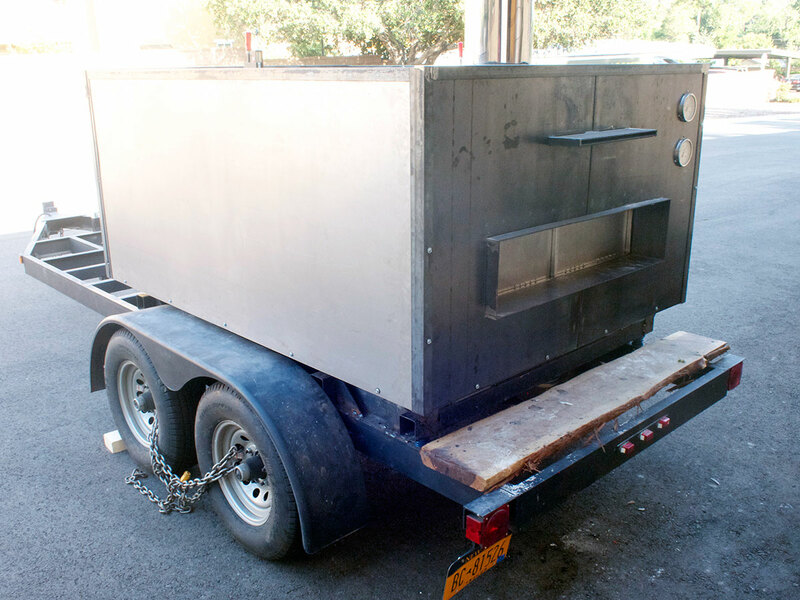 He built a mobile bread oven, which he calls “MOMO,” short for Michael O’Malley’s Mobile Oven. To me it incorporates everything I want to pursue in baking bread: combining community with functionality, making fresh 4-ingredient bread accessible to every person, regardless of who they are or where they come from. His oven reminds me of something theatrical; like stage plays on wagons during the medieval times, traveling town to town just to make people smile. I can remember learning about it in my college dramaturgy classes. Back then, everyone in the town would gather to witness some comedy or tragedy brought forth for them. People looked forward to them as a way to be a bigger part of their community, to meet new people, to share an experience. MOMO has a similar function. But it certainly has a few more advantages: it’s hip, modern, sustainable, and it can feed a big hungry crowd with freshly baked bread. Can’t get much better than that, folks! How did it all begin? This bread baking hobby/passion/obsession of your’s? And how did it stick? 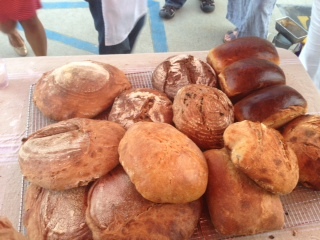 My bread making began many years ago when I was living in Wiscasset, Maine. I was there living and making art at Watershed center for Ceramic Art. 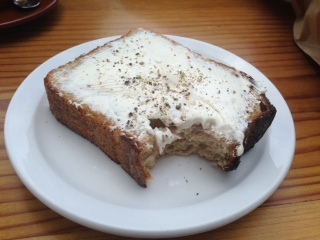 A cute little store in Wiscasset called Treats began carrying this bread from Waldoboro called Bodacious bread – later Borealis. It was an amazing bread and my favorite was a cardamom raisin, naturally leavened. I vowed to learn how to bake like this one day. And though many opportunities came along, I deferred taking the plunge…some things you just know are endless rabbit holes. Ten years later and on the other coast, in Pasadena, I got fed up with the horrible bread I was finding. This frustration combined with a trip to Barcelona to do research on Antoni Gaudi…A place on the ground level advertised wood fired pizza. I am sure I was famished but the pizza was gorgeous…it was about bread and a few fresh ingredients…That was it…I was all in. 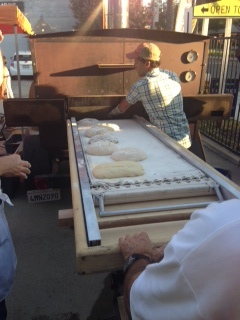 So when I came back to Pasadena, I began building an oven in my back yard. Then I read as many books as I could and began by making a sour dough culture. I baked twice a day that first month and talked non stop about bread. Like watching someone in love, my friends were equally amused and annoyed by my affection for bread. What do you find is the most important ingredient or crucial step that a great bread baker should never miss (or go without)? Any tips for a new bread baker? Bake. Bake. Bake. And find out what you like. It’s the only way to learn. 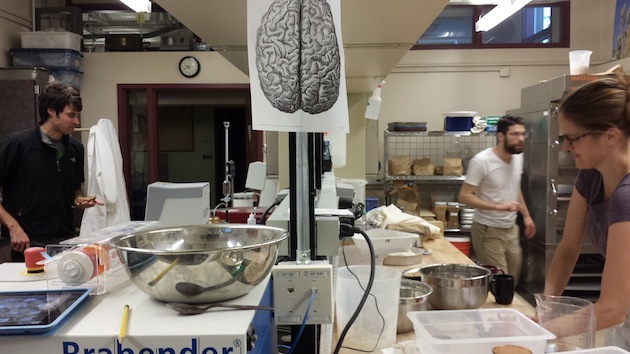 Baking is an embodied knowledge/practice. (This is why bakers are free with information and recipes…at best the recipe gets you half way there. Only by baking and getting all of that sensory experience lined up with a deep analytical/conceptual understanding of what is going on in the dough, the starter, the flour, the salt will you become a good baker. 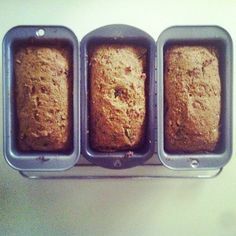 Baking serves as a kind of literal metaphor for me… It’s the thing and not the thing…As a practice it always reveals the person and what they value: process, money, the loaf, community etc… As a narrative baking speaks to how we relate to the earth, resources, stewardship and each other. As an object it can be an incisive, sensory experience that critiques and proposes in the same gesture. Baking declares in this sensory and poetic way, “This is the kind of world I want to live in.” All of my work as an artist deals with that question, “Why does the built environment (and all its objects) look like that?” Can we make a built environment that speaks to our poetic, relational, 7th generation selves that want to see narratives of beauty and generosity and empathy and connection? If design had empathy at its core rather than make it fast, cheap and disposable, the world would look really different. Is the nutritional component of baking with whole grains important to you at this stage in your baking? Becoming more so. I think that the visual aesthetics of what a loaf looked like directed many of my earlier choices. When you start eating bread from grain that comes from a place and a context suddenly the visual aesthetics become one factor… And for many the available flour has had a limited range of qualities. When you start using grain that is whole grain –it is just a different thing. A few years ago I realized that I did not know much about flour so I did what I seem to always do – I do something that pushes me to learn.. in this case I purchased a 1963 Allis Chalmers All Crop Harvester – aka AC-72.. This multi-grain/seed combine needed just a bit of work and after of few weeks of climbing over it; I also understood how it worked. A friend and organic vegetable farmer, Richard Giles of Lucky Dog Farm, who had said he wanted to get into grain knew I was serious when he saw the purchase of the combine. So we planted 10 acres in October of 2011 and the next summer had an amazing harvest. So now I have grain and realize that I need to learn how to mill and use whole grain. Who are your go-to bakers that have inspired you throughout the years? Jeffery Hammelman early on for the conceptual framework and later Chad Robertson for the aesthetic impulse and dough development. I finally took a couple of workshops this past year after almost 10 years of baking with Craig Ponsford and Dave Miller. They both are amazing bakers and I learned a lot from them. Tell me about MOMO and why you decided to build it? What do you hope to accomplish with it? Was it a personal goal or were you thinking more about the community at large? Is the social conscious component of “breaking bread” something that you wish to be a part of? I see MOMO as a sculptural, relational, gesture that combines the nomadic, “missionary” zeal of a Johnny Appleseed with the once civic relevance of public, community ovens. 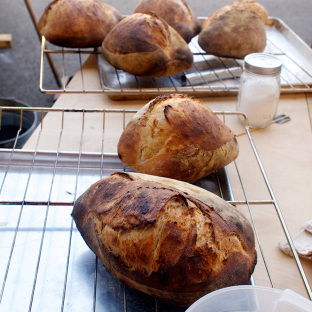 It shifts between being a theatrical performance centered around baking bread and promoting new narratives of living, to a mobile kitchen/classroom, to a local community oven. 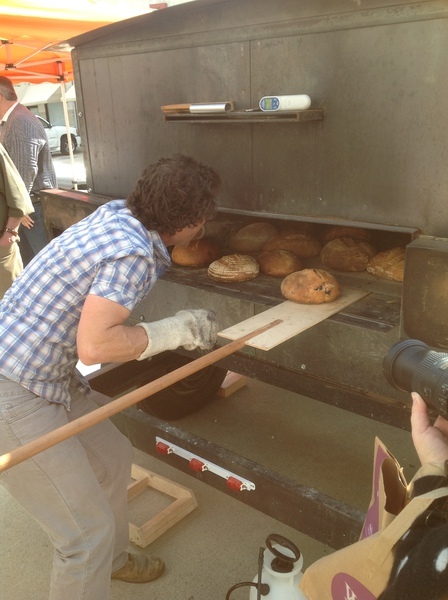 Along the way the piece engages multiple audiences from art communities, bakers, to the under-served. My intellectual interest in the terms and forces by which the built environment gets decided upon and built do not have a kind of pop culture cache or an immediate accessibility. Bread does. And it took many years to figure out how to frame this as part of my practice. One day I realized that the baking was doing what I wanted my practice as an artist to do. Be a beautiful object, that embodies this really specific poetic stance to the design directives and be something that while being shared could serve as a stage to talk about the world. Basically, I have come to view bread as a cipher of my artistic practice. It engages the real world. It has history and tradition. It disappears. It connects to both the personal and the local. It’s made by hand, has a low environmental impact and is always unique. It connects me to my community and always remains a practice. Where do you see MOMO in 5 years? 10 years? MOMO will morph. It is a piece and so will have a life. I will move on from this iteration…and likely it will become a fixed oven somewhere…MOMO has already inspired the next iteration which will be to build community ovens around the country so that people from really different contexts have experience and conversation with each other. Objects that bring people together and offer experience rather than confer status. There you have it, folks. Incredibly interesting stuff, right? Take a look at his website for more info. Who knows, maybe MOMO will be coming to your town sometime in the near future! January is National Wheat Bread Month! In just a few days, we will begin celebrating our entrance into 2014! I imagine the next year to be full of wonderful things, great and small for everyone. 2013 seemed to be a rough one for many people, so let’s embrace the fresh start that we are about to receive in the new year …The future is BRIGHT! And it just so happens that National Wheat Bread month is in January! I deem it my job to keep you all up to speed with the healthier side of wheat, and so I will start off by giving a list of fantastic, organic, hybridized free bakeries across California, that I know and love. I plan on finding a national directory, and maybe even international, so please be patient with me as I continue my search! My hope is that you are able to locate one in your area and go check it out. Maybe one day we will all decide to only go to these local bakeries/bread makers and we will begin to have a greater appreciation for the healthier side of bread. Not only for ourselves, but for our family and friends! Hope this helps! May you all have a happy and healthy New Year!! This is a mouthful of a bread: Ready…Carrot Apple Kale Ginger Raisin Walnut Whole Wheat bread. Phew! I did it!